"Chelsea are the absolute masters!" Jose Mourinho has received plenty of criticism for his tactics at different times of the season from all angles. However, one manager in particular believes that Jose's team are in fact, the benchmark for others to try and emulate. 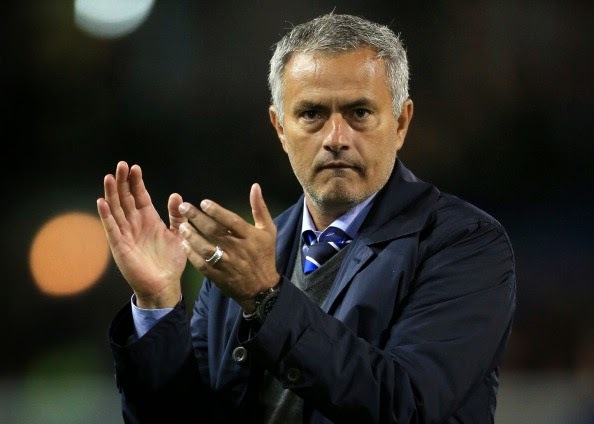 Nigel Clough, son of the famous Brian Clough and now manager of Sheffield United, has spoken admirably of Jose Mourinho's tactics and his Chelsea team for the way they strangle the life out of their opponents to win games. “Chelsea are the absolute masters at getting themselves in front and then holding onto leads. I watched them play Arsenal not so long ago and, as soon as they got a goal, they never once looked like letting that lead slip away. You knew right there and then that they were going to win the game. That’s the mentality that all the top players have. They are so, so ruthless and it’s the mentality we want to have too. That, come what may, the other team isn’t going to get one over on us. If the lads want to study anyone at the moment then they could do a lot worse than them, it’s the first place they should start. It’s all about the group. Take Oscar in that Arsenal match for example. He’s a playmaker, someone whose job, on the face of it, is to get at defences but there were moments in that Arsenal match when he was running back 50 or 60 yards to put a tackle in on the edge of his own penalty area. There are different departments to any side but they (Chelsea) defend as a team and they attack as a team. That’s why they are so tough to play against, because they demand that of each other. It's nice to hear someone recognise that now more than ever, football is about results and in the most part, Jose Mourinho provides exactly that. The difference this season (at the moment) appears to be that in games we struggled to break teams down last year, we seem to have found the right balance to beat them. Clough's example of the Arsenal game was great. We never looked like losing that one and to pinpoint Oscar and his work of the ball in that one was spot on. That's what Jose demands from everyone and it seems that this year, he has exactly what he wants!